Using traditional techniques I carve functional spoons and other wooden ware. Influenced by the natural world, folklore and history I experiment with form and design to create unique and individual pieces. I also teach spoon carving from my workshop. 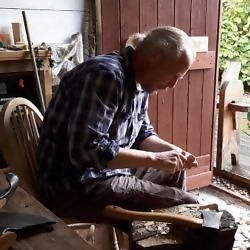 Spoon carving, Shrink pots, Tuition, Re enactment.